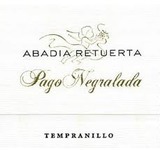 Pago Negralada comes from a Plot of Tempranillo, the noblest Spanish grape variety. The vines are planted in deep gravel soils intermixed with sand at the surface, and produce wines with a distinctive firm, tanic character. Having aged 24 months in new French oak barrels , the wine has developed its full potencial. It is a wine for the long haul. A wine with its roots firmily in the past and its Rights set on future triumphs.